Dimensions 0.5 x 4.2 x 22.2 inches. 0.5 x 4.2 x 24.8 inches. 24 x 3.7 x 0.3 inches. 21.7 x 6.2 x 0.5 inches. 29 x 0.2 x 5 inches. 20 x 1.8 x 5.5 inches. 7 x 2 x 1 inches. 28 x 7 x 1 inches. 26 x 4 x 2.5 inches. 20.2 x 8.8 x 0.4 inches. Weight 1.7 pounds. 2.5 pounds. 2.3 pounds. 1.3 pounds. 3.9 pounds. 1.8 pounds. 1.4 pounds. 2.3 pounds. 1.4 pounds. 1.3 pounds. How to Select the Best Chainsaw Bar? It may seem like a straightforward task when you’re buying replacement parts for your chainsaw, but any old chainsaw bar won’t do. Some chainsaw bars are more suitable for particular jobs than others, and some will only suit some kinds of chainsaws. Once you’ve established what make and model your chainsaw is, you can then work to find the best bar for the job at hand. The main advice in this buying guide is to always choose quality over price. There are so many different types of chainsaw bars on the market, but it’s not just for looks. The type of work you do dictates the type of chainsaw bar you will need. For example, if you’re cutting hard timber, thick bark or the conditions are muddy, icy or dirty, you are best to opt for a solid bar. They are designed for these conditions and will not scratch or corrode. However, if you’re undertaking everyday work you should opt for a sprocket nose bar. These bars require less power to move the chain, are better for plunging and for general everyday use. Your safety out on the job is very important, and as such, you should always opt for a bar you can handle. If you don’t think you have the strength or knowledge to work with a large bar, it’s best you opt for the smaller one or call in the professionals. If you know the wood you are going to cut could be testy, a bar with a nosewheel can help prevent kickback. The key is to choose the best bar on the market that will get the job done safely and accurately. Your safety is paramount. Even though you should only opt for a bar you’re comfortable with, you also need to ensure the bar you use is cut out for the job at hand. There’s no point hacking into an elm tree with a 12 inch bar, nor is there much point in getting out the commercial grade saw for a fruit tree. Know which bar will be the most efficient before you purchase it. 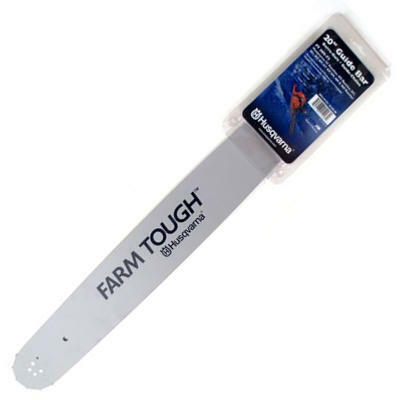 The solid nose bar is more suitable for wet, muddy and icy conditions. They are generally made of more solid materials as well. However, they do take more power to turn the chain due to increased friction. The sprocket nose bar requires less power to turn the chain, is better for plunging, minimizes stretching and is a good all-round general use bar. Regularly rotating the bar to spread rail wear. Checking bar and chain oil to keep the bar lubricated. Checking the chain tension – this can impact the bar. Cleaning grooves to remove built up debris. When it comes to chainsaws, you should never skimp on quality. Chainsaw bars are no different. Always opt for a bar that fits your chainsaw’s requirements properly, not the one that’s the cheapest. Within this buying guide we show you a range of bars of varying brands and prices. The aim is to make comparisons between models, features and costs to find the bar offering the best bang for your buck. Solid bars are the bars of choice for those looking to undertake larger levels of work. They are best suited to muddy, wet and challenging conditions where the wood is hard but the ground may not be! They work hard to get the job done, and are certainly a preferred option for many people. They can take on dirty work. They work harder than sprocket nose bars. They take on bigger jobs more easily. They take plenty of oil. They need a lot more power to move the chain. Solid bars are often used by professionals and ranch owners looking to undertake some big wood clearing jobs. Solid bars are a good choice for large jobs as they are happiest when put to the test in dirty conditions. So for this reason they are less suited to homeowners and more suited to professionals. Features vary from brand to brand, but there are certainly brands that offer more features than others. Oregon, for example, offers high-strength stellite alloy on the nose for longer bar life, and chrome-moly steel for a super strong bar body. 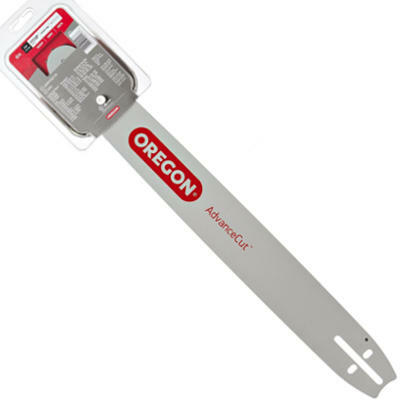 Many chainsaw manufacturers rely on Oregon to supply their own brands with bars, and you can often see similar features in those. Many are also laminated for protection against corrosion and dirt. If you’re undertaking light cutting duties with minimal muck and dirt, the sprocket tip bar is for you. Sprocket tip bars, when used in the right conditions, don’t wear as fast and often only wear in the nose which can be replaced. They are also lightweight which makes them easier to handle. They cut quickly and accurately on smaller, cleaner jobs. They last longer, on average. The chainsaw uses less power rotating the chain on the bar. They jam easy if they don’t like a particular wood. They are generally more expensive. They aren’t suitable for dirty jobs. If you know a job is going to be clean, tidy and take minimal effort, you would opt for a sprocket nose bar. The same can be said if you’re not quite ready for the power and weight of a solid bar. Sprocket nose bars are perfect for those smaller jobs where harsh conditions don’t come into play. They are a good homeowner option. Sprocket tip bars have all the usual features of a hard nose bar such as guide bar rail, chain lead in, adjustment holes, guide bar grooves, motor mount sections, and guide bar body sections, but they also feature a sprocket tip. This sprocket tip requires less power to do the job, but can also only take on smaller, cleaner jobs. It’s perfect for demanding conditions. It offers less vibration in comparison to some other brands. It fits a wide range of Husqvarna chainsaws. It costs more than many other manufacturer’s bars. It doesn’t have a greasable sprocket. Dimensions: 0.5 x 4.2 x 22.2 inches. 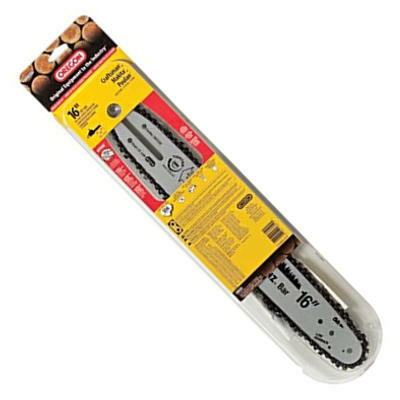 QWhich chainsaws can be used with this bar? AHusqvarna 41, 45, 49, 51, 55, 336, 339XP, 340, 345, 346XP, 350, 351, 353, 435, 440, 445 and 450e. QWho is it suitable for? 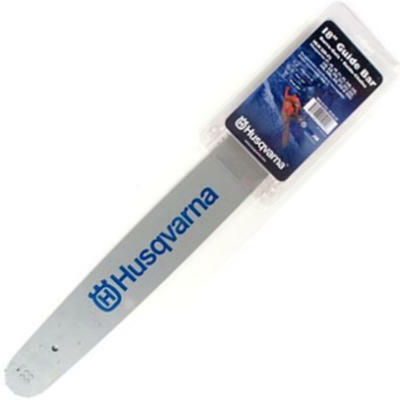 Husqvarna is renowned for its quality bars that do best when under pressure. They are reliable, they work well and they last for a very long time. They are easily top rated on the market but they’re also not overly affordable. There are several other good brands on the market offering good chains at better prices. Check out what other people who purchased this product think about it. Read Husqvarna HLN250-72 chainsaw bar reviews. It’s a good bar for demanding conditions. It’s on the higher end of the price scale. You have to buy the same brand of chain to ensure it fits the teeth properly. Dimensions: 0.5 x 4.2 x 24.8 inches. A55Rancher, 257, 261, 262XP, 357XP, 359, 455Rancher and 460. When you want assured quality all day, every day, look no further than this premium Husqvarna 20 inch bar. It’s built to last, is hungry for the demands of a challenging environment and aids in vibration reduction. It’s also very well made which is what you hope for in a bar. You do pay a bit more for this quality but it’s well worth it when you’re getting the job done. Overall it’s one of the best chainsaw bars for the money. Check out what other people who purchased this product think about it. Read Husqvarna FT280-72 chainsaw bar reviews. It’s made of high grade steel. It’s suitable for a wide range of chainsaw users. It’s one of the more expensive options on the market. It’s limited to a few different compatible models. Dimensions: 24 x 3.7 x 0.3 inches. AMS 280 and MS 280 C-BQ. Made from high grade steel, this three-part spot welded laminated guide bar is a dream to run on STIHL chainsaws. It’s durable, built well and lasts the distance. It’s also suitable for any kind of chainsaw operator – from the professional to the homeowner. It’s quite expensive though, so it tends to be purchased by those who know and trust the STIHL brand. It’s not the most affordable brand on the market yet it’s certainly one of the best chainsaw bars for sale. Check out what other people who purchased this product think about it. 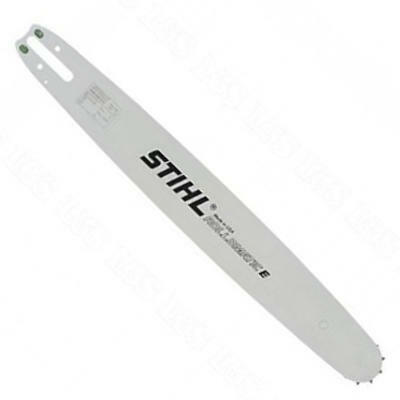 Read STIHL chainsaw bar reviews. It’s reversible for a longer lifespan. It’s only suitable for a small variety of chainsaws. It seems to flex a little more than some other brands. Dimensions: 21.7 x 6.2 x 0.5 inches. Considering this bar is produced by the well known and reputable manufacturer Oregon, it’s one of the most cost effective chains on the market. It’s lightweight, long-lasting and is suitable for EGO 14 inch chainsaws. It’s also very easy to purchase online and is top rated by many users. Check out what other people who purchased this product think about it. 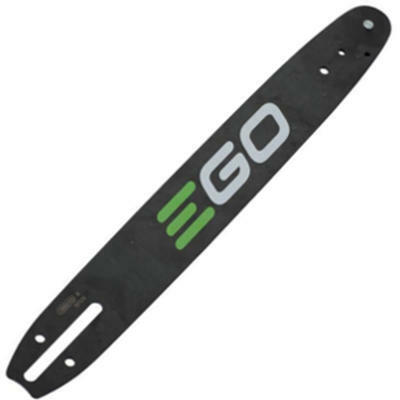 Read EGO chainsaw bar reviews. The oil port holes clog quickly. Dimensions: 29 x 0.2 x 5 inches. ASTIHL 024, 026, 028, 029, 030, 031, 032, 034, and 036. With the ability to undertake a huge range of tasks, this 20 inch bar is a real winner. It represents good value for money and you can get the best deal when purchased online. It’s durable, doesn’t heat up as much as some other brands do, and it’s powerful for both professionals and homeowners. Overall it’s one of the best chainsaw bars for the money. Check out what other people who purchased this product think about it. Read Oregon 105671 chainsaw bar reviews. They can be difficult to find in store. They are rarely used on newer chainsaws. Dimensions: 20 x 1.8 x 5.5 inches. ACraftsman, Cub Cadet, Dolmar, Homelite, Husqvarna, John Deere, Jonsered, Makita, McCulloch, Poulan/Poulan Pro, Redmax, Sears, Shindaiwa, Skil, Snapper, Tanaka and Toro. In comparison to many other brands, this Intenz bar manufactured by Oregon is one of the best deals on the market. It’s a very high quality bar, it fits many different brands of chainsaw and it’s very lightweight. It’s also affordable, fits and runs well, and is the epitome of quality. So it’s very easy to say it’s one of the best chainsaw bars for the money. Check out what other people who purchased this product think about it. Read Intenz S56 chainsaw bars reviews. It’s symmetrical so can be reversed for a longer lifespan. It’s slim for a lower weight. It’s suitable for professionals and homeowners. The idle speed has to be adjusted because it’s a longer bar. Dimensions: 7 x 2 x 1 inches. APoulan 2175, 2375, 2450, 2500, 2550, 2600. Fitting a wide range of Poulan saws and durable to last a long time, there’s everything to love about this chainsaw bar. It’s lightweight for user confidence and it’s slim to make it nimble and easy to use. It’s also symmetrical which means you can rotate it to extend the lifespan. It’s top rated on the market and it’s clear to see why. This chainsaw bar offers true bang for your buck. Check out what other people who purchased this product think about it. 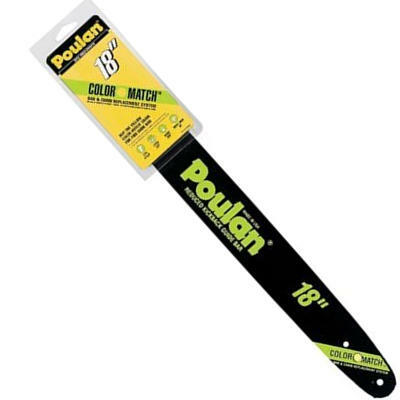 Read Poulan chainsaw bars reviews. It’s tough with sharper cuts due to leading technology. It’s suitable for many different chainsaw brands. Some users note the bar heats up quite a lot. It can throw a chain off easily when it’s brand new. Dimensions: 28 x 7 x 1 inches. AMany brands including Craftsman, Homelite and Poulan. Easily one of the most popular bars on the market, this 18 inch bar fits the bill as a reliable, lightweight and durable bar. 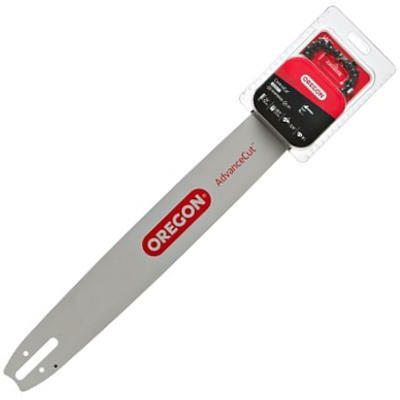 It’s produced by the popular manufacturer Oregon and is suitable for use on a wide range of brands. It also has plenty of technology on offer which makes the cuts a lot sharper. It’s top rated and is for sale at a very affordable price. Check out what other people who purchased this product think about it. Read Oregon 39272 chainsaw bars reviews. It’s suitable for a range of Poulan saws. It offers a built-in chain adjuster. Some users note they wear out fast. The quick tension system isn’t very good. Dimensions: 26 x 4 x 2.5 inches. APoulan 260, 4018, 4218AV, 4218AVL, SM4218AV, P4018AVBH, P4018WTL. Poulan, which has its chains manufactured by Oregon, has decided to bring new technology to the table with this 18 inch bar. It features a built-in chain adjuster which is a rare feature not generally offered on most other bars. However, reviews are mixed as to whether this feature is necessary, convenient or even works. It’s a gamble and one that may or may not be paying off. We’d be hesitant to call this a top rated chainsaw bar, but it’s certainly proving itself to be reliable all the same. Check out what other people who purchased this product think about it. 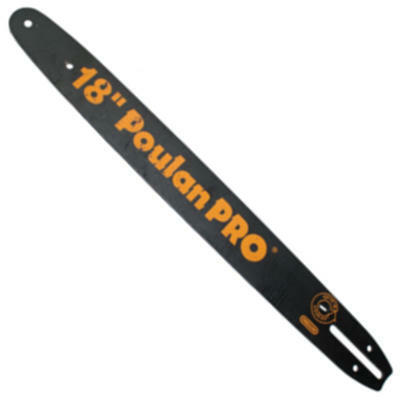 Read Poulan Pro chainsaw bars reviews. It suits a huge variety of Homelite chainsaws. It’s not suitable for professionals. Dimensions: 20.2 x 8.8 x 0.4 inches. AHomelite UT43120A, UT10540, UT43100, UT43120, UT10560, UT10580, UT43122, UT10516, UT10564, UT10566, UT10568, UT10562, UT10660, UT10786, UT-10829. QWhat gauge is it? . You do get a long of bang for your buck when it comes to this Homelite 16 inch bar. Not only does it suit a wide variety of chainsaws, but it’s a perfect, mid-size bar for a homeowner. It’s affordable, easy to purchase online and will withstand a lot of hard chainsaw work. Check out what other people who purchased this product think about it. 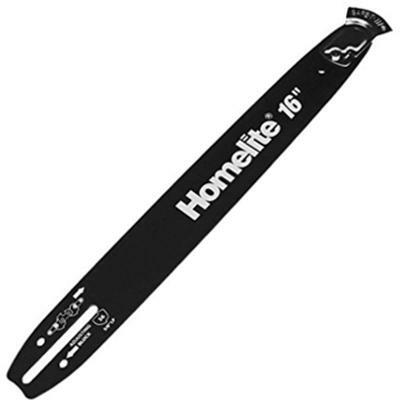 Read Homelite UT-10829 chainsaw bars reviews. Where to Buy Chainsaw Bars? Because leading manufacturers offer guides online for finding the matching bar for your chainsaw, it’s very easy to purchase chainsaw bars online. Once you’ve matched your model with a bar type you can head to Amazon for the best deal. If you’re little more wary about making sure you purchase the right bar, you can also get many different varieties in any leading hardware or chainsaw store.